HF02. The Farmer Doll - Woman 6"
6 inch size. 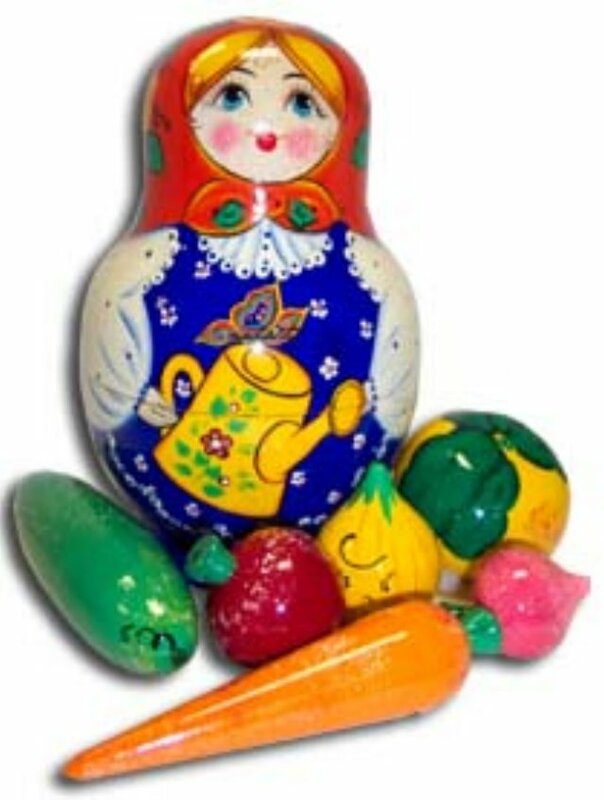 It is not a traditional Russian nested doll, it has a set of toy vegetables! A wonderful gift for kids and adults!